L'affaire Antrix Devas no longer makes newspaper headlines, but little snippets about it keep surfacing periodically. It has a strange history, starting from 2003, has seen three PMOs and two enquiries, first by former cabinet secretary BK Chaturvedi, then by former chief vigilance commisioner Pratyush Sinha, and then a CBI enquiry. Strangely again, as newspaper reports say, the CBI's preliminary enquiry (PE) was started in April 2014 by the previous UPA government not on the basis of a complaint, but suo motu. It was under the same regime that the Antrix Devas contract had matured and fructified, been signed in January 2005, and then annulled in February 2011. The PE was converted into a regular case in March 2015, and an FIR was registered against some personnel from Antrix and Devas, and unnamed officials of Antrix, ISRO and the department of space. The investigation continued through 2015 and 2016, and a chargesheet was filed in the CBI court at Patiala House, Delhi, in August 2016, against personnel from Devas, former chairman ISRO, two other ISRO personnel, and me. (Between December 22, 2004, and December 28, 2005, I had worked as additional secretary, department of space.) Again, according to newspapers, sanction to prosecute the ISRO scientists was received from the competent authority (the prime minister) in May 2017, and against me in August 2017. I took charge as additional secretary, department of space, on December 22, 2004. Obviously, I was not part of any negotiations with Forge or Devas, or the Shankara committee (which had recommended leasing out transponders of a satellite to be constructed by ISRO on a payment). That had happened during the course of 2003 and 2004, well before I took charge. I was not present in the Antrix board meeting of December 24, 2004, which had approved the Antrix Devas Contract and I was not part of the signing of Antrix Devas Agreement in January 2005. 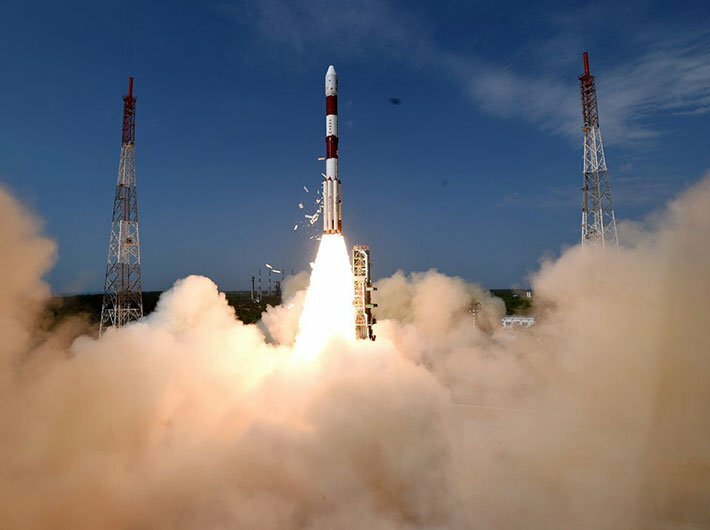 However, after the signing of the contract, ISRO had to get approval from the Space Commission for construction of the satellite GSAT 6, the transponders of which had already been leased out to Devas, for which they had already signed a contract with Devas, of which I knew nothing. As additional secretary, department of space, I was also ex-officio secretary (not member secretary) of the Space Commission, where my responsibility was to invite notes for the Space Commission from all the ISRO scientific divisions, who sent them to me after approval of the ISRO chairmen, put them together, obtain approval of the Space Commission chairman, who was also chairman of ISRO and the department of space, and then circulate them to members of the Space Commission. All Space Commission proposals came from responsible scientific directors, after approval of the ISRO chairman, and the Space Commission secretary had no authority or responsibility to question them. A Space Commission meeting was to be held on May 26, 2005, and I performed my duty of inviting notes from heads of all scientific divisions and assembled them for approval of the Space Commission chairman before circulating them to the Space Commission members, amongst whom were Minister of State, PMO, National Security Advisor, a principal secretary to prime minister, the cabinet secretary, and finance secretary. One such note that came was from the director of the Satellite Communication Programmes, a senior scientist, for the construction of GSAT 6, a satellite. This was meant to be the same satellite the transponders of which had already been leased out to Devas by the January 2005 agreement. But no mention of this was made in the Space Commission note that was sent to me after approval of the ISRO chairman. And not knowing what had gone on in 2003 and 2004 between ISRO and Forge/Devas, and not knowing from any source about the Antrix Devas Contract and that the Satellite GSAT 6 was being constructed for Devas, there was no way I could see any mala fide or corruption in the note. And besides, every note sent to the Space Commission could only be sent after approval of Space Commission/ISRO chairman, who had the final authority and responsibility for Space Commission notes. That is the basis on which a hierarchy in any government department functions. The Space Commission approved the construction of GSAT 6, and I have credible evidence now to believe that some Space Commission members, who had been part of negotiations and meetings during 2003/2004 with Forge/Devas, chose to remain silent about these details as the Space Commission note for approval of GSAT 6 was discussed and approved. I was fortunate to obtain a copy of the charge sheet from the Patiala House Court in September 2016. And when I read it, it just knocked me out. False statements, which can be proved false by the documentation in the same chargesheet; subversion of facts and converting them into charges without any evidence whatsoever; and suppression of facts that are most relevant to the case. And what I say is irrefutably backed by documentary evidence, which I shall place below. Take a look at Para 16 (151) of the chargesheet which states that I, in conspiracy with other accused, processed the proposal with Forge Advisors, LLC, USA in violation of guidelines and manipulated facts and facilitated leasing out satellite to DEVAS. Then see Para 16(23), where the very same chargesheet says that the M/s Forge proposals were received in April 2004. I would like to inform the readers that during April 2004, I was working as joint secretary in the department of women and child development, government of India. I took charge as additional secretary, department of space on December 22, 2004, as the records would testify. Is the CBI saying that I was conspiring with ISRO and Devas and processing their proposals while I was working as joint secretary, women and child development? Then take a look at Paras 16(74-75) - that I manipulated (emphasis mine) Para 5 of the draft cabinet note in conspiracy with Madhavan Nair, Sridhar Murthy and Bhaskarnarayana by making an insertion: "ISRO is already in receipt of several firm expressions of interest by service providers for utilisation of this satellite capacity on commercial terms..." and that "Veena S Rao recommended the manipulated Draft Cabinet Note on 19-08-2005 and finally Shri G Madhavan Nair, the then secretary, department of space, in furtherance of criminal conspiracy approved the same." The chargesheet does not state the nature of the 'manipulation' that I have done, but when I was shown a draft cabinet note in the file by the investigating officer, it had a hideously contrived scrawl, written in ink over the typed document, that Antrix had received "several expressions of interest" for leasing out the transponders of GSAT 6, the satellite for which cabinet approval was being sought. And this overwriting is the 'manipulation' done by me, according to the chargesheet, without any certification by a handwriting expert, as is mandatory, if such a charge is made. In fact, the chargesheet makes it very clear in Para 15 that "Result of Forensic analysis is: Not Applicable". Really, then how do they charge me with 'manipulating' the draft cabinet note through overwriting? When I look back at what I have seen in the various enquiries that the Antrix Devas deal has gone through, it is significant that the Pratyush Sinha committee papers, 2011, make no mention of any overwriting on the Draft Cabinet Note. No DCN with overwriting on it was shown to me during the Pratyush Sinha inquiry, nor was I questioned about any overwriting. Then, how did the hideous, scrawly overwriting on the DCN suddenly surface during the CBI enquiry? The only inference I can draw is that the overwriting has been done by someone who had control of the file just before the CBI enquiry was instituted in 2014. And clearly, it appears that it was decided at time that I was to be made the fall gal, in the event things became serious. Because I was a bureaucrat against whom no wrongdoing could be proved. Pernicious and twisted, but protective and effective. Now let us look at Paras 16 (73-75) and Para 16(140). The CBI chargesheet refers to a routine meeting I have conducted in my office on August 15, 2005, attended by all levels of the department of space, including deputy secretary, director and joint secretary of the department of Space, and officials from ISRO and ANTRIX, and falsely states without any evidence whatsoever that I have manipulated the cabinet note. An open, routine meeting where the joint secretary, director, and deputy secretary of the departemnt of space were present, along with officials from ISRO and Antrix, is termed, without a shred of evidence, as a criminal conspiratorial meeting, with me being the lone conspirator! I cannot recall the content of the meeting, which is 13 years behind me, and there was no record of the proceedings available on the heavily doctored file when it was shown to me, with none of the pages of the file matching with the note sheets. I can say this with absolute certainty, as I have been shown the file by the CBI, and have seen the haphazard page numbers and drafts as mentioned in the note sheet having disappeared from the file. Now, why would the CBI file such a flawed and ludicrous charge sheet against me, accusing me of conspiracy with ISRO and Devas personnel, without a shred of evidence, which could be torn to pieces in a court of law? Sources emanating from ISRO and from outsiders say that it is precisely for the reason that there was not a shred of evidence against me and that the charge sheet would be torn to pieces in a court of law, that my name was selected to be included in the chargesheet. The honest would protect the culpable. It is known to all, including the investigating agency, that out of the three senior bureaucrats serving in the department of space in 2005, two of them were in the knowledge of the Antrix Forge/Devas deal. One of them suppressed it during the Space Commission meeting of May 26, 2005, where approval for the construction of GSAT 6 was given, and while sending the Cabinet Note for approval of the Finance Minister. And the other suppressed it while processing the Cabinet Note before submitting it to me. This is supported by documentary evidence. The best bet about how to weaken the case was to charge the third bureaucrat, which was me, who had no knowledge of the Antrix Devas deal from any quarters, and ensure that it stands no chance of succeeding. Never mind, if the bureaucrat with no culpability of any kind, with the highest level of integrity was harassed, humiliated or victimised. This decision appears to have been taken way back in April 2014 when the PE by CBI had been instituted and seems to have remained unchanged even until today. And just for everybody’s information - I have never met anyone from Devas, I do not know their faces, I have never spoken to any of them, never written or e mailed any of them or received any letters or e mails from any of them. And yet the chargesheet accuses me of conspiracy with them. Can anything be more bizarre or ludicrous than that? To sum up, here is a case where neither at the time of the receipt of the proposal from Devas in April 2004, nor during the entire period when the proposal was processed, from April 2004 to December 2004, nor at the Antrix Board meeting, December 24, 2004, where the Antrix Devas Contract was approved, nor at in the actual act of signing of the Contract between Antrix and Devas in January 2005, was I present or involved. At no point of time during my entire stay in the Department of Space as Additional Secretary was I ever given access to the Antrix Devas Contract or its connection to Satellite GSAT 6. And yet I'm charged with conspiracy in this whole affair with ISRO and Devas. Clearly, there is no accountability on the part of the investigation agency, and there are no safety mechanisms in place from the governmental side. In fact, the entire governmental system is loaded against an innocent victim, even for obtaining basic information or documents. The network of the corrupt provides huge support and protection. The network of the honest provides nothing except quoting from the rule book, the distortion and misuse of which, has been the cause of your harm, in the first place. This article in which I am narrating my experience and some facts is not really about me. It is more about bringing some crucial issues before the readers, about the kind of falsifications and distortions that the system permits in the implementation of the Prevention of Corruption Act against honest officers, for which there is no redressal, until it reaches the trial court. This can take many many years, and can sap your energy, time, money and creativity. This has happened to me eight years after retirement and twelve years after I occupied the ill fated position of additional secretary, department of space. I hope this never happens to anyone again. All these facts have been informed to the CBI, the decision makers and the competent authority which accords sanction for prosecution. If they have chosen to overlook them, there must be a very special reason. I wonder what that could be. Well, if the powers that be have declared war against me, so be it. I have no option but to give battle. I do not have the power of money or patronage, but only the power of truth, integrity, ethics and courage. May it succeed and defeat the power of falsehood and injustice.